Just the name brings images of an exotic far-off land filled with mystery and scented by the aroma of clove and cardamom. For centuries Zanzibar has been a crossroads of peoples from Africa, Arabia, and India that has created its own unique cultural mélange that exists into the present. Zanzibar history is also tainted with a darker past of trade in slaves and ivory from the mainland. Zanzibar today offers an unrivaled experience for the traveler who wants to escape back in time or just relax in the present by lounging on a sublime endless white sand beach with the warm waters of the Indian Ocean lapping at their feet. 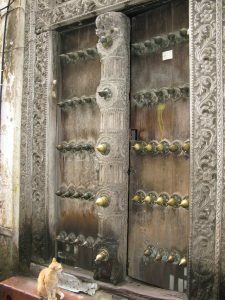 Once the capital of the Omani Empire that spanned the Indian Ocean with trade links from the interiors of the African continent to the Arabian Peninsula and the Far East, Zanzibar’s old Stone town still retains its exotic aura with narrow winding streets chock full of small shops and hidden courtyards behind the intricately carved wooden doors for which it is known. Tucked-away shops that haven’t changed in decades mix with artisans’ studios and modern boutiques, providing surprises at every turn as you lose yourself (literally) among Stone Town’s streets and alleys. The local market still remains 100% authentic with fresh fish caught that morning, spices grown in the island’s interior, recordings of indigenous Taarab music, and local household items. In addition to the numerous boutiques that have sprouted with tourism is a whole cottage industry around Freddie Mercury (lead singer of the British rock band Queen), Zanzibar’s most famous son. Spend a night in one of the remodeled Stone Town mansions that evoke the ghosts of long ago with period furniture, a maze of rooms, and odd-angled balconies. Enjoy a rooftop meal made from truly locally-sourced ingredients (down to the spices) while hearing the quiet murmur of evening street sounds, when people emerge after the heat of the day and the last call to prayer echoes from the minarets. 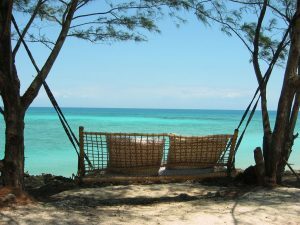 Zanzibar is a small island – approximately 20km at its widest point and 80 km long – so a short drive from Stone Town in any direction brings you to an exquisite tropical beach, replete with its own resort. 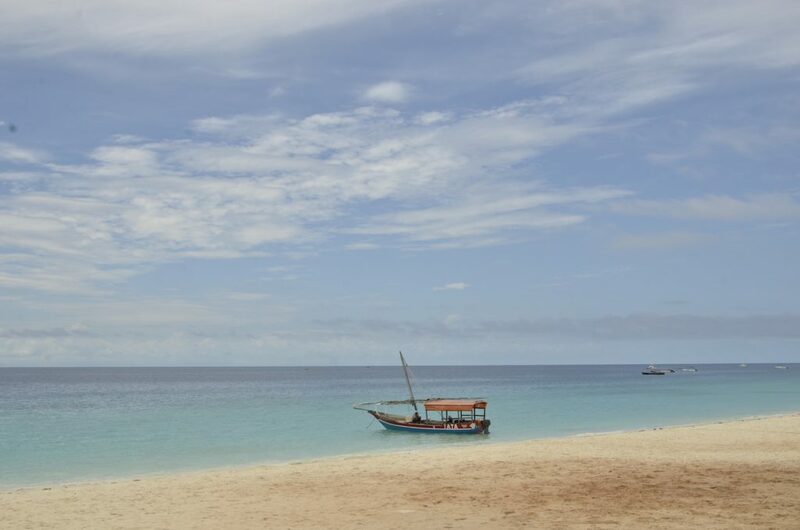 Zanzibar boasts a plethora of beach accommodations – each one different – to meet your particular travel style. One can find secluded five star resorts (some of which are located on small private islands off of the main island); funky laid-back bungalows; hotels for the active beachgoer with snorkeling, diving, deep sea fishing, kiteboarding, kayaking, and more; romantic getaways designed for couples and honeymooners; or family-oriented spots. What you won’t find on Zanzibar are Disneyfied mega-resorts that manufacture a false tropical experience. Why would they need to? It’s all there in the original. 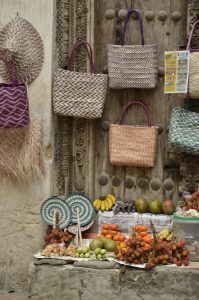 Don’t miss a half day Spice Tour to the interior where you can visit a working spice plantation to see, feel, smell, and taste dozens of spices – some indigenous to the islands and others brought in to take advantage of the islands ideal tropical growing climate. The tours have grown to be more accommodating to guests, but still, have their local quirks that you must experience for yourself . . . no air-conditioned mini-buses here! While on Zanzibar you will invariably see the dhows and ngalawa that ply the waters around the islands. The latter are the local boats taken out daily by fishermen following traditional practices passed down for centuries, and the former are the trading vessels that ply the Swahili coast of East Africa and farther afield to Arabia. A half or full day dhow ride is the quintessential slow travel experience in the warm and calming waters of the Indian Ocean. Zanzibar may be the largest and most famous, but there are a whole series of islands up and down Tanzania’s Swahili Coast that shares its cultural and economic history – and for the modern traveler, the same beautiful unspoiled white sand beaches, syrupy pace of life, and warm turquoise waters brimming with coral and tropical fish. Some are just a few hundred meters off the coast of Zanzibar (technically named Unguja Island since Zanzibar is, in reality, the name of the whole archipelago) and can be visited in a day trip, but others, such as Pemba, a few kilometers to the north, and Mafia, a couple hundred kilometers to the south, are compelling alternatives to the main island for those who want a more off-the-beaten-path tropical beach experience. On these more remote islands, one finds it even easier to lose ones sense of time to the rhythm and flow of Zanzibar island life.